Mahmoud, the founder of Syria’s LGBT movement, currently lives in Berlin as a refugee. Yet, he organizes "Mr. Gay Syria", a contest in Istanbul, to encourage LGBT refugees in Turkey to participate in an international beauty contest as an escape from their trapped lives and an answer to their invisibility. Husein, also a Syrian refugee, works as a barber in Istanbul. He participates in the local contest with a small group of LGBT refugees, and wins. 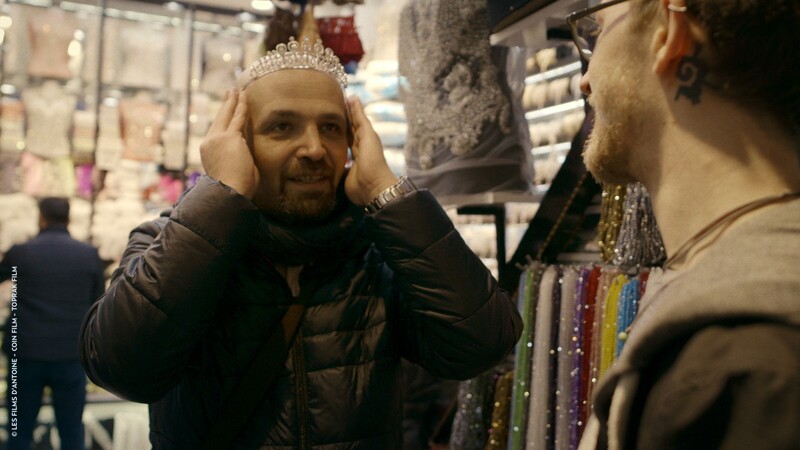 Will he achieve his dream of going to the Mr Gay World contest, or will the refugee crisis and the harsh consequences of being gay in the Muslim world shatter it to pieces? Ayse Toprak is a filmmaker based in Istanbul. She received a BFA in Film & television from NYU's Tisch School of the Arts, and an MA from the New School. She has worked for Channel Thirteen/PBS in New York, and produced for Al Jazeera in London, Doha and Istanbul. Toprak is focused on how documentaries, their subjects and colorful characters can have a far-reaching impact on society; films that manage to trigger a national dialogue on neglected issues, eradicate prejudice or breach hitherto taboo subjects are her favorite medium, as well as personal and professional ambition. She is fascinated by people pushed to the peripheries of society who have personal, vivid, and compelling stories. Her conviction in filmmaking comes from her wish to tell the stories of such people to share their different and unique ways of looking at the world.